Richard Bradford is Professor of English at the University of Ulster. He has published 14 books on a variety of topics, from Milton to literary theory to post-war British literature. His recent biographies of Kingsley Amis (Lucky Him: The Life of Kingsley Amis, 2001) and Philip Larkin (First Boredom, Then Fear: The Life of Philip Larkin, 2005) have received excellent reviews. Part I: Realism Versus Modernism: Win, Lose or Draw?. 1. Before Now. 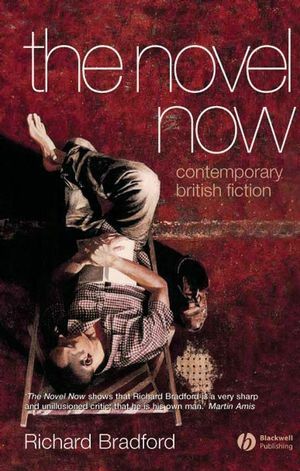 A Brief Account of the Pre-1970s British Novel. 2. Something Unusual: Martin Amis and Ian McEwan. 3. The Effects of Thatcherism. Part II: Excursions From the Ordinary. 5. The New Historical Novel. 6. Crime and Spy Fiction. Part IV: Nation, Race and Place. 11. England, Englishness and Class. 12. The Question of Elsewhere. 15. Epilogue: The State of the Novel. Select Bibliography: Recommended Further Reading.